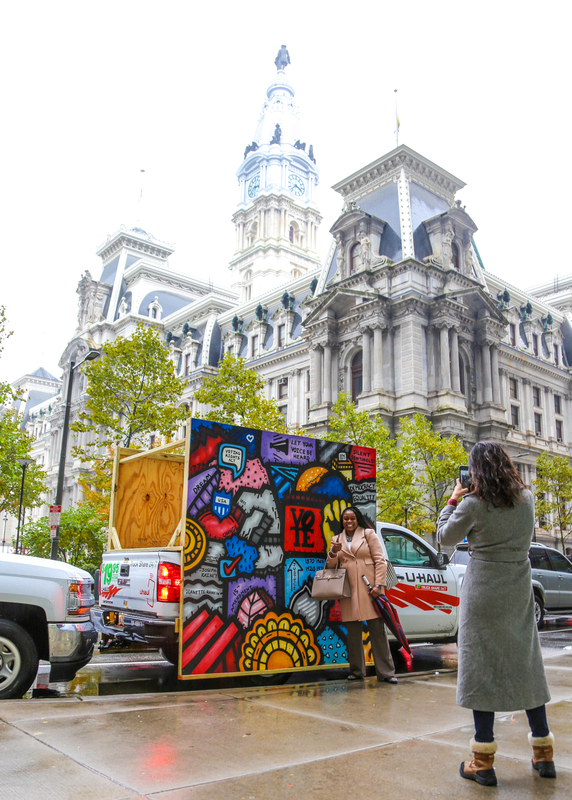 THANK YOU to all the folks around Philly today who stopped and took photos of/with the one-day pop-up traveling version of our To the Polls exhibition! 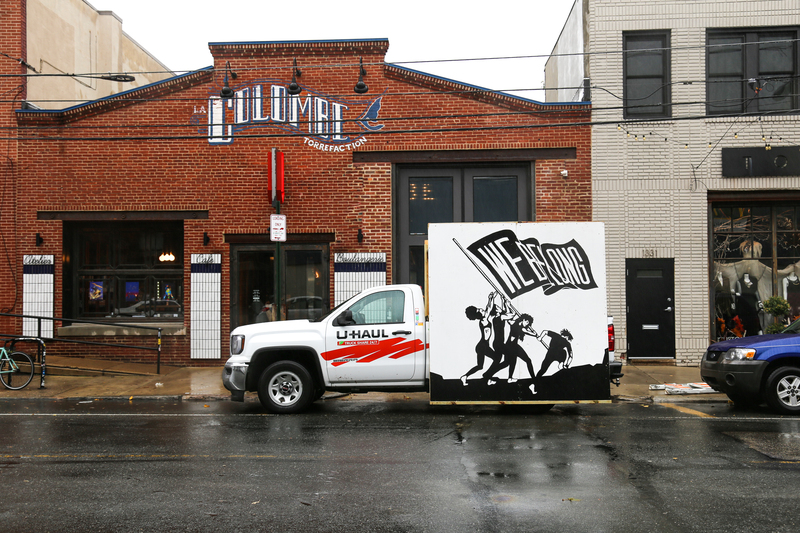 To the Polls was a mural exhibition that took place at 448 N. 10th Street in Philadelphia’s Spring Arts neighborhood from from September 26, 2018 through October 3, 2018. 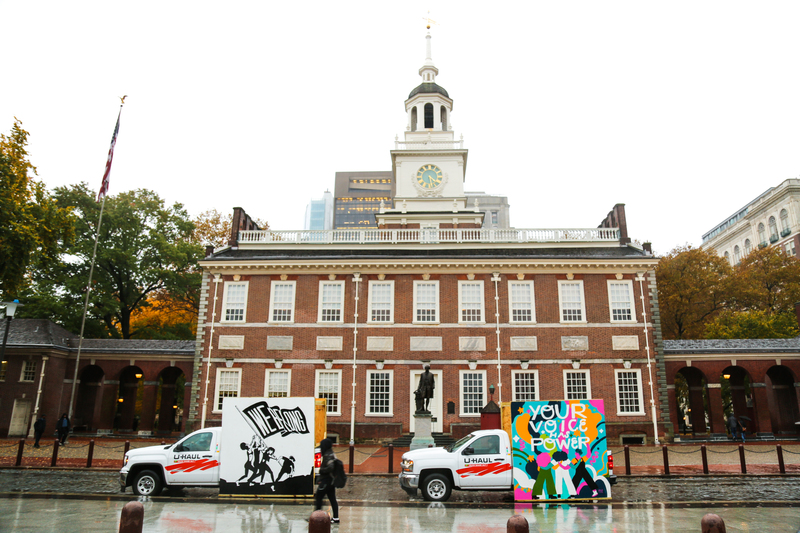 Organized and curated by Streets Dept’s Conrad Benner with support from Mural Arts Philadelphia, the exhibition worked with 10 Philly-based artists to create 10 temporary 8×8-foot murals to rally the Philadelphia community around civic participation through the act of voting. 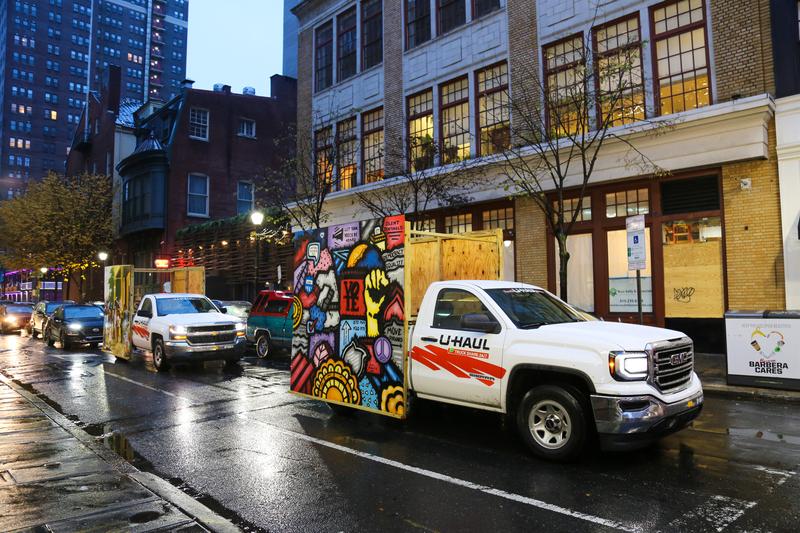 This mobile version of the exhibition was a way to get a few of the murals out into the public space the day before the election to give more Philadelphians the opportunity to see and share these works of art. 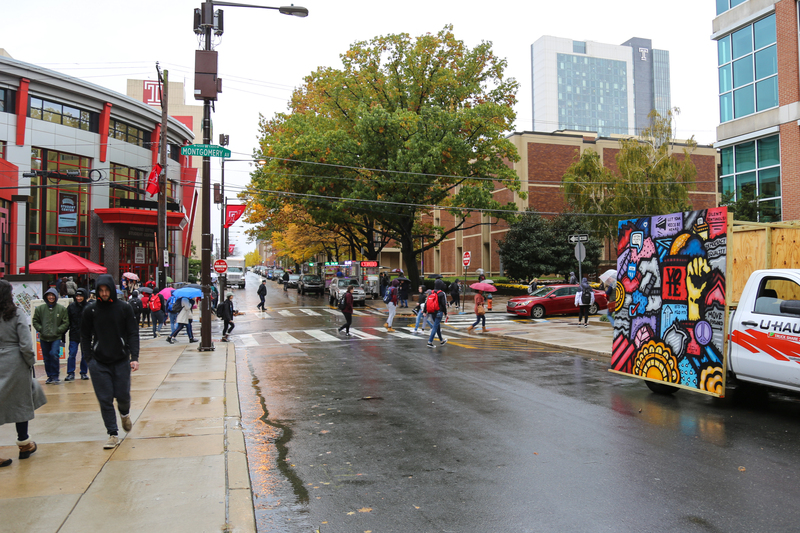 The four murals driven around Philly today were created by artists Alloyius Mcilwaine, Marisa Velázquez-Rivas, Loveis Wise, and Nilé Livingston. 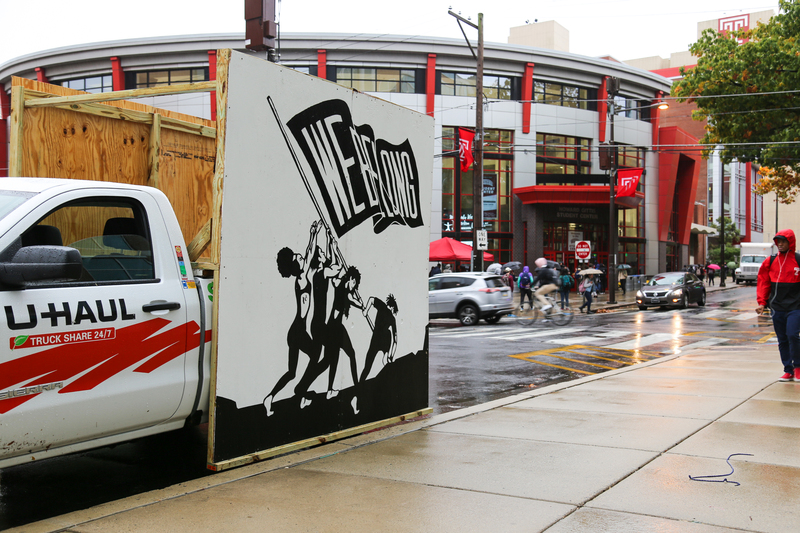 Click here to read the artists’ statements about these murals and all the 10 murals apart of our To the Polls exhibition! 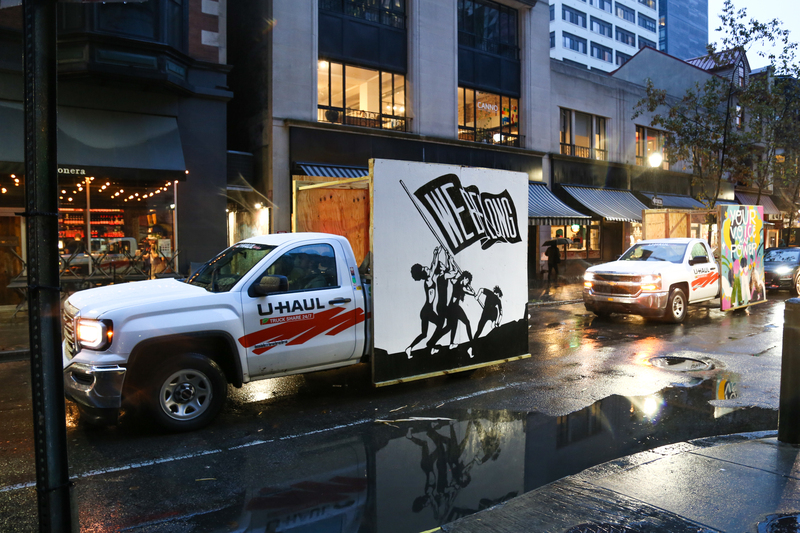 If you missed us today but are still interested in using art and social media to apply some positive peer pressure to your friends and followers to make sure they get out to the polls tomorrow, I’ve got some stuff waiting for you here!